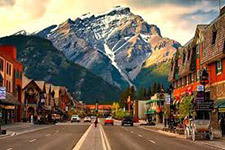 For our 63rd meeting, the Western travels north to Banff, Alberta, Canada. The 2017 Annual Meeting will be held at the Fairmont Banff Springs Hotel which we last visited in 1987. 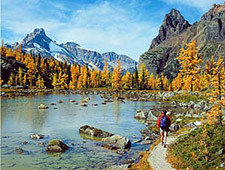 The hotel is in Banff National Park, a designated UNESCO World Heritage Site. This luxury alpine resort is a national treasure and is known as the “Castle in the Rockies”. It is located 92 miles from Calgary International airport (1H 45 min drive) and is a short stroll from the charming town of Banff which has a selection of local galleries and museums, upscale shopping and restaurants, year-round Banff Lake Louise events, and popular local attractions including the Banff Gondola and the mineral rich Banff Upper Hot Springs (http://www.hotsprings.ca/ ). The Fairmont Banff Springs (http://www.fairmont.com/banff-springs) has all the amenities of a world class resort, including stunning vistas, championship golf courses, classic cuisine and Willow Stream, a world class European-style spa (10% off for our group) plus a bowling alley. The daily room rate for meeting attendees is $269.00 CAD ($204 USD) which gets you a fairly small but adequate Fairmont room. Considering the exchange rate, you might want to sign up for a more expansive and expensive room such as a Deluxe room for $309.00 CAD or a Stanley Thompson Deluxe for $369.00 CAD. A Junior Suite is $449.00 CAD per night. To each daily rate will be added a $12 CAD daily service fee (to cover baggage handling on arrival/departure and tip for your room maid) and $25.59 CAD a day in taxes. Complimentary Wi-Fi in each room. The link to the WNS online room registration is https://resweb.passkey.com/go/westernneurosurgicalsociety. Exhibitor information is available here. There is a Hertz Rental office located in the hotel and cars can be arranged directly or through the concierge service. Multiple shuttle options are available including the Banff Airporter http://banffairporter.com and The Brewster Shuttle which also departs from several of the larger hotels in downtown Calgary www.explorerockies.com/airport-shuttles. It will cost you $15/day to self park your car at the hotel. Organized afternoon activities during the meeting with be forthcoming in the spring when the meeting registration form is posted. The registration form for the meeting is located in the Forms menu item on this Web site. Our meeting is open to any physician who wishes to attend by registering for the meeting using the registration form and submitting it as instructed on the form. WNS members may invite other physicians, members of other neuroscience disciplines and physician assistants and nurse practitioners to attend as guests. Hotel contact information is below if you have questions.